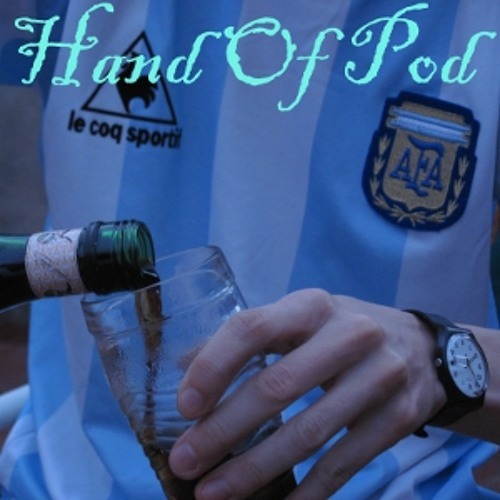 In the hundred-and-twenty-seventh episode of Hand Of Pod, Sam, Andrés and guest Ilan are invited round to English Dan's swish new pad. We discuss the fallout of last weekend's clásico, which saw Racing beat River Plate 1-0, and look at how and why the title frontrunners dropped points yet again (to be fair to them, in four cases it's because they were playing each other). We also bring the latest from the situation in Santa Fe, where Colón are in danger of being de-affiliated from the AFA, ask whether Ramón Díaz and Carlos Bianchi are really the best managers for River and Boca Juniors, and basically teach ourselves during the recording who All Boys' new manager Ricardo Rodríguez - who started with a 2-0 win in La Bombonera - is. Oh, and there's news of the first Swiss person ever to score a competitive goal in the Argentine league. Since this episode was recorded, Lanús have advanced to the final of the Copa Sudamericana, where they'll play Ponte Preta. Download Episode 127: Racing's upturn in form, River & Boca have problems, and who's going to win the title? Users who like Episode 127: Racing's upturn in form, River & Boca have problems, and who's going to win the title? Users who reposted Episode 127: Racing's upturn in form, River & Boca have problems, and who's going to win the title? Playlists containing Episode 127: Racing's upturn in form, River & Boca have problems, and who's going to win the title? More tracks like Episode 127: Racing's upturn in form, River & Boca have problems, and who's going to win the title?